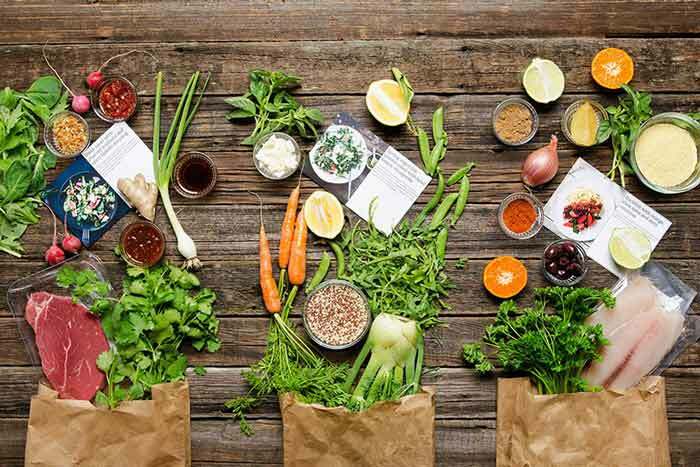 Sun Basket is a healthy cooking service that delivers organic ingredients and simple-to-make recipes right to your door. Sun Basket’s award-winning chef creates international recipes, from curried vegetables to mu shu pork, with all recipes using seasonal ingredients. 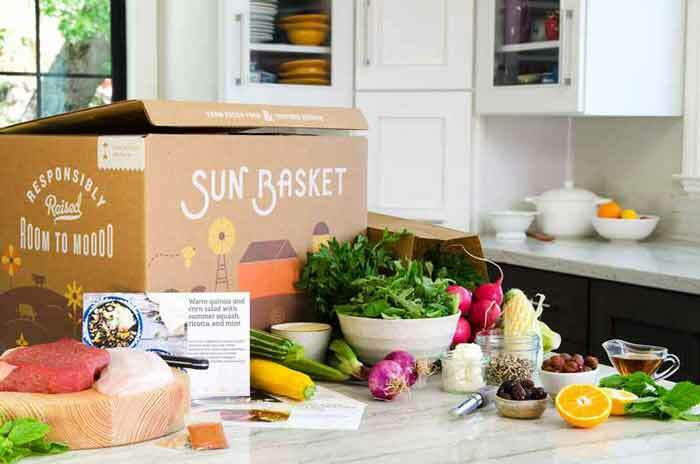 Sun Basket gives you wholesome food, while strongly emphasizing environmentally-conscious company values. What’s Unique About Sun Basket? Sun Basket has lots of recipe options to fit your tastes and food preferences. 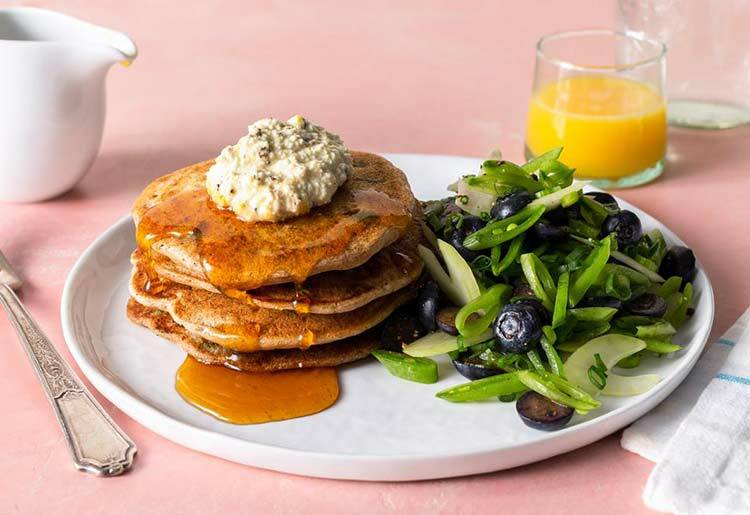 Every recipe is developed by award-winning chef, Justine Kelly, who was the former head chef of a James Beard award–winning restaurant, The Slanted Door. All recipes - whether paleo, gluten-free or vegetarian - are nutritionist-approved. Sun Basket has 3 core values — clean eating, flavorful meals, and sustainability. It always sources ingredients from organic and sustainable inputs from over 135 farms, ranches and fishermen. All of the produce is organic & non-GMO. Meats are antibiotic and hormone free, and the seafood follows the Monterey Bay Aquarium sustainability standards. The company also offers meals and menu ideas that are suitable for people with different dietary restrictions and allergies, so there’s really something for everyone. You have the ability to choose a plan, change it at any time, or completely cancel a subscription at any point. Sun Basket ships all meals in insulated and fully recyclable boxes - including the insulation, ice packs, and containers - so you don’t need to worry about environmental damage. The company also gives back to communities in need through local food banks and various employee programs. Using Sun Basket is simple. First, select the plan of your choice — classic or family — depending on your needs. Choose a plan that you’re happy with and let Sun Basket deliver the basket weekly without getting involved in the process, or build your own basket every week. After selecting your recipes for the following week, or letting Sun Basket do it for you, your work is pretty much done. The kit will be delivered to your door the next week. In your meal kit you’ll find the recipe as well as the exact amount of every ingredient needed for the dish. This includes meat, poultry and/or seafood, fruits, vegetables, and spices. Once you’ve received your kit, you’ll need to unpack and store the ingredients. When you’re ready to prepare a meal, just take out the ingredients, which are listed on the recipe card, and follow the instructions. Note that you will need to provide a few things yourself, such as salt and pepper, oil, basic utensils and pots and pans for cooking. Choose between the classic plan and family plan. The classic plan gives you 3 menus per week for 2-4 people, while the family plan gives you 2, 3, or 4 menus per week for a family of 4. 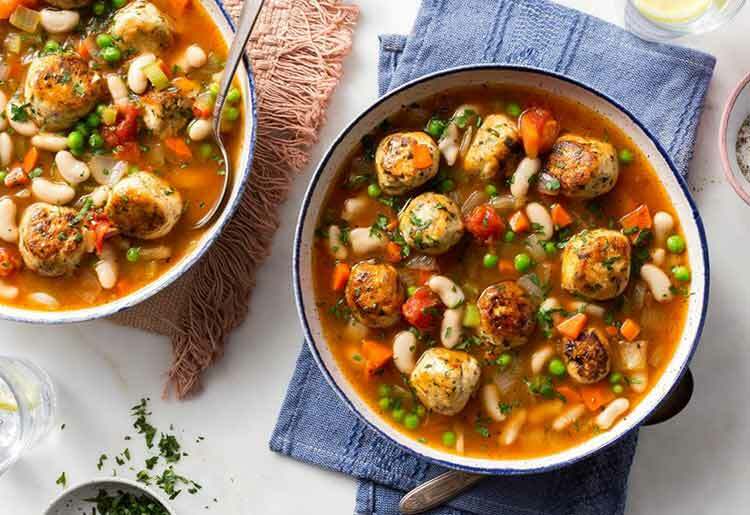 While each plan offers paleo, gluten-free, and vegetarian options, it’s important to note that the recipes in the family plan may be more kid-friendly. From Vietnamese chicken salad bowls to spaghetti with chicken and collard greens, Sun Basket offers a wide variety of recipes for all taste preferences and dietary needs. 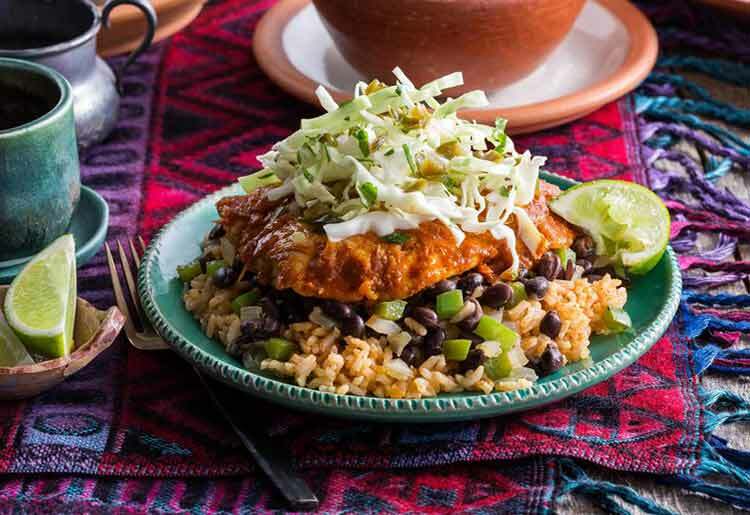 The recipes, which can be previewed online, are flavorful and creative, utilizing interesting ingredients and delicious flavor combinations. Paleo options include mu shu pork and salmon burgers. Gluten-free options include tzatziki-topped turkey and shrimp risotto with lemon. The vegetarian meals include curried red lentil soup and quinoa white bean burgers. There are also recipes listed under the category of “lean & clean,” such as black lentil eggplant bowls and cooked trout. The chef’s choice usually suggests international recipes that take advantage of seasonal foods, so as to use only the best and freshest ingredients. The classic menu costs $11.49 per serving and gives you 3 recipes per week, enough to serve 2 or 4 people, depending on your selection. It is more suited for singles or couples. Available meal plans include chef's choice, paleo, lean & clean, gluten-free, and vegetarian. The family menu costs $9.99 per serving, is suitable for kids, and gives you 2, 3, or 4 recipes per week to feed a family of 4. There is a $6.99 shipping fee per order for either menu, though the first week includes free delivery. Sun Basket has a few available channels that offer customer support and assistance. The first option is its in-depth blog section, titled “The Sun Times,” where you can find information such as how to customize your recipe selection, update your profile information and choose a meal plan. You can also use the blog to learn more about cooking in order to make the most of your Sun Basket subscription. If you need additional support, you can visit the online help center which features an FAQ section. You can contact customer support by filling out an online form or calling the support number — 855-204-7597. The support center is open Monday-Friday from 5am-9am, and Saturdays and Sundays from 11am-7pm (PT). Sun Basket offers meal plans for singles, couples, roommates, or families who are looking for ways to save time by avoiding long grocery store lines, choosing dinner recipes, and sourcing the necessary ingredients. Though many of its chef-developed recipes are high-end, it also has many meals that appeal to kids. It also offers good customer support options and delivers to almost the whole country, excluding a few states, such as New Mexico and Alaska. Sun Basket gives you an easy and interesting dinner-time solution. *The information on this site is based on research, but should not be treated as medical advice. Before beginning any new diet plan, we recommend consulting with a physician or other professional healthcare provider. Results may vary based on various health factors, individual weight loss plans and adherence to the meal plan.